Join us in Creemore, ON for a truly unique bike tour. 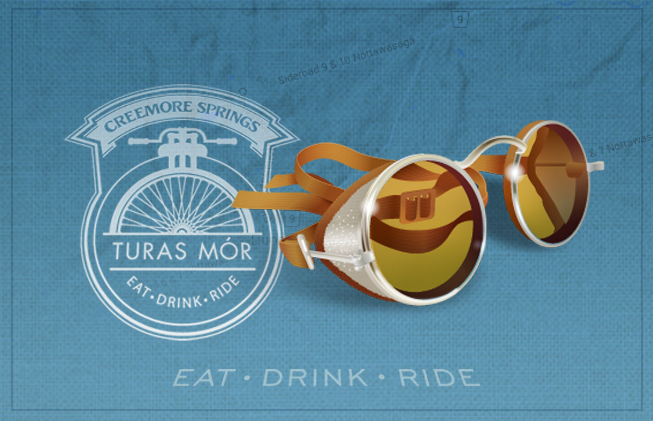 Inspired by the vintage rides of Europe, Turas Mór – meaning ‘Great Journey’ in Gaelic - is a cycling journey on gravel and non-gravel roads through the rolling hills of Creemore. For seasoned riders to first-timers, there’s something for everyone. Scroll down to check out what each route has to offer! This route hasn’t changed much since inception in 2016, but it does change year over year based on the weather. We’ve had sleet & snow and extreme heat and folks should be ready for anything. There are 4 tough, steep climbs: as the rider makes their way from Creemore to the first rest stop in Terra Nova; just outside Terra Nova to Lavender Hill; up Sideroad 6/7 to the second rest stop (the New Farm); and just when you think you’ve made it, you’re hit with an equally legendary climb up 15/16 Sideroad to Fairgrounds Road before descending into Creemore. This route is predominantly gravel terrain – with lots of good ruts, mud (if wet) and sometimes sand. We encourage accomplished intermediate & advanced cyclists to register for this ride. You must be 19 years or older in order to register. We encourage riders to wear vintage jerseys and gear and to ride on "heroic" bikes made prior to 1987. No vintage bike, no problem, other road worthy bikes are welcome! This route is relatively flat with a few small hills on paved roads. It takes you out & back to the beautiful hamlet of Glen Huron. Perfect for beginners & intermediate riders looking to kick off their 2019 season. You must be 19 years or older in order to register. We encourage riders to wear vintage jerseys and gear and to ride on "heroic" bikes made prior to 1987. No vintage bike, no problem, other road worthy bikes are welcome! This route is difficult and a challenge for intermediate riders as well as seasoned cyclists. The climb out of Creemore on the way to Terra Nova is long and hard and is approximately 15km. Once in Terra Nova, folks can stop and refresh at the Terra Nova Public House before enduring another climb out of Terra Nova, making their way back thru and down Lavender Hill. The roads are a mix of gravel and non-gravel up until this point. If interested, riders can enjoy a quick water break in Dunedin before winding their way back into Creemore via County Road 9 - an easy ride on paved roads. You must be 19 years or older in order to register. We encourage riders to wear vintage jerseys and gear and to ride on "heroic" bikes made prior to 1987. No vintage bike, no problem, other road worthy bikes are welcome! May 25 8:30 AM EDT - Registration, Creemore Springs Brewery Parking Lot (Mill Street entrance). May 25 12:00 PM EDT - Enjoy live music and an amazing beer garden with fabulous food & drink!